What It’s About: After returning to Shanghai from studying abroad in increasingly inhospitable Kyoto, Chen Zhen (Jet Li) turns his attention to his kung fu academy and its recently deceased master, of whom Chen is the most accomplished disciple. As Japan flexes its imperial might, events transform Chen into a one-man force for Chinese vengeance. Why Watch it Today: Arguably Jet Li’s finest fighting on film, Fist of Legend rivals its predecessor, Bruce Lee’s classic Chinese Connection (aka Fist of Fury), which itself was released on this day in Hong Kong in 1972. Both tell the story of fictional martial arts legend Chen Zhen and his battle for the honor of his teacher, his art, and finally, national pride. Set against the backdrop of colonial Shanghai and the rise of Japanese militarism in the Roaring 20’s, the fable in both films is one of a man who could singly represent a country’s valor and independence at a time when the rest of the world barely regarded China as a nation at all. While the remake benefits from superior production values, triple the number of stuntmen taking dives, and upgraded acting from the supporting cast, martial arts action fans will ultimately be choosing between the Chen Zhen of each film. While Bruce Lee’s Chen snaps his limbs across the screen like bolts of lightning as his face evinces the anguish and yearning of the protagonist, Jet Li’s Chen charts a different course. Li is not blessed with the same ease at conveying violent emotion, and for much of the film he merely executes his virtuoso mastery of the classical kung fu repertoire with dispassion: deep stances, fast hands, and a flare for acrobatics. But when pushed to the limit against Japanese karate, we are treated to the epiphany of a new style emerging before our eyes. This entry was posted in Action, Martial Arts, Uncategorized and tagged Bruce Lee, Chen Zhen, Jet Li, karate, occupation, revenge, Shanghai, shotokan. 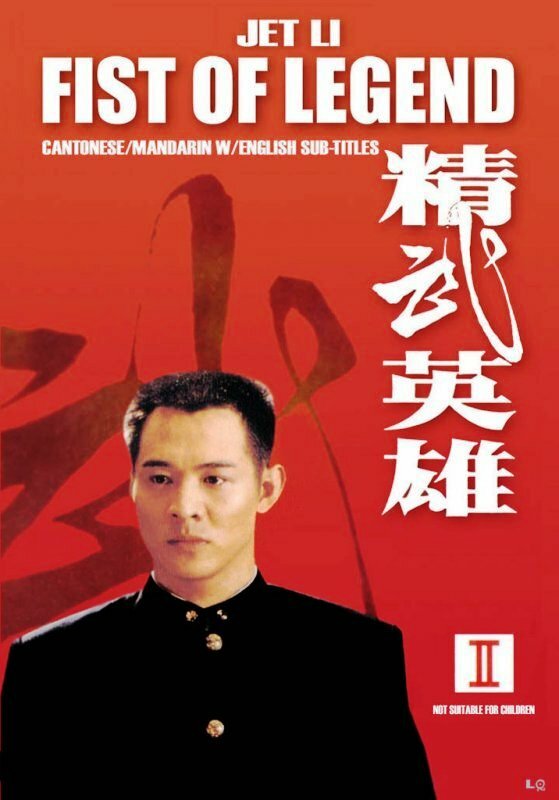 This one really impressed me…far more than most Jet Li movies I’d seen up until that point had (though honestly, these days I can’t even remember which ones they were).